Everything you knew to be true about the importance of a warm and caring relationship with an infant is true, on the gene and brain anatomy level. It is rather inspiring when studies from neurobiology show you how it actually works. Take a rat pup and let it be taken care of by a low caring rat mom. A mom who doesn’t groom, lick and arch her back to allow effective sucking. After six (6!) days of such low caring, the estrogen gene in the thalamus – an inner part of the brain – of the rat becomes modified through epigenetic mechanisms. So she herself becomes a low caring mom, because the gene responsible for her caring behavior has been modified. If you let a high caring mother adopt this poor rat pup, the modifications of the gene can be reversed. If you are quick and the adoption happens before day 21. If not, changes are permanent. 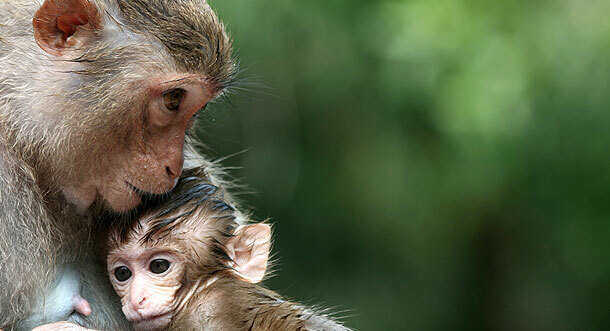 Maternal caring in rhesus monkeys affects the development of the amygdala – the part of the brain that is most commonly associated with attachment and fear. In functional MRI studies on the reactions infant cry elicits in the adult brain, it is their amygdala we look at. Simply put, adults who have a secure attachment pattern react to infant cry by caring behaviour, i.e. they report they want to pick up the infant, give it food, soothe it, check diapers, etc. Adults with insecure attachment patterns show more irritation and react less adequately and sensitively; they more often think the infant is just “acting out”. 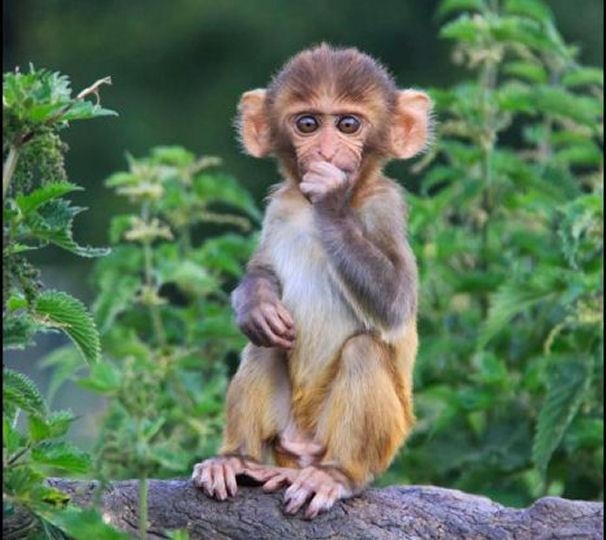 It seems that maternal care in rats and rhesus monkeys, especially the absence of rejection, is vital for emotional functioning and learning. It keeps the infant brain in a condition of plasticity, where signals to the prefrontal cortex, where more of the mature decision making will take place, get blocked. The point of this blocking is that before youngsters establish mature pathways to automatically judge the safeness of a situation to make vital decisions, their brains should be “open” for safe learning. Because fear is a primary drive, if the mother does not provide safety, learning about how to keep safe will become a primary learning objective and decrease the ability to learn other things. In the brains of post-institutionalised children, more mature patterns of amygdala-prefrontal cortex connections are found. These children have a shorter period of brain plasticity due to their adverse circumstances, where they had to learn to rely on themselves much earlier than is useful in terms of learning other skills. Arguably of course, it is effective for their survival. So what do we make of this? Is our fate as humans sealed after the first few months of life? Well, the bad news is that it could be. The good news is that humans have a prolonged sensitive period so we have more than the rat’s 21 days to make a difference. If the mother of an infant is not capable of sensitive caring, maybe the father is. Or an aunt, a grandmother, maybe an early childhood worker. There is also ample evidence to support the effectiveness of interventions to increase maternal sensitivity using video-feedback. From the infant’s point of view, the mother’s behaviour is more salient than what she thinks. If the primary caretaker is adequate in stimulating the infant, is not intrusive (e.g. waiting for the baby’s initiative, stopping stimuli when baby indicates discomfort), and is predictable, a safe learning environment can be created for the infant’s brain. Ultimately, what we are looking for is raising children who dare explore the world and make it better through their own caring relationships. Therefore, as a society we can’t afford not investing in improving the early caring environment of all children.